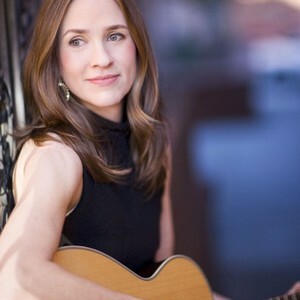 Caroline Herring is a Mississippi-born, Atlanta-based singer/songwriter. She started her career in Austin, TX, where she won the 2002 Best New Artist award in both the Austin American-Statesman and the Austin Chronicle. There she released two albums: Twilight (2001) and Wellspring (2003). Herring relocated to Atlanta, and recently she won the 2008 Best Singer/songwriter award in Atlanta's Creative Loafing. In 2008, Herring released her outstanding album Lantana (Signature Sounds), a highly acclaimed thematic album based on the lives of various women, mostly Southern. The critically acclaimed Golden Apples of the Sun is now available on her website, www.carolineherring.com, iTunes, and on amazon.com November 10. Golden Apples of the Sun is both a departure from Herring's previous work and her most personal and representative collection yet. ?I've been gone from the alt-country world of Austin for seven years, and it just seemed like it was time for me to make a change,? she concludes. ?It was the right time to launch out. On the road, I'm a storytelling folksinger, so it made sense for me to make that kind of record. I didn't have an absolute idea of what it was going to be when I started. I just knew I wanted to get back into the studio and do something new and different while also representing my sound clearly and truly. The process, the material, however, was all so unusual for me. It's not like anything I've done before? ?